Item # 311224 Stash Points: 3,495 (?) This is the number of points you get in The Zumiez Stash for purchasing this item. Stash points are redeemable for exclusive rewards only available to Zumiez Stash members. To redeem your points check out the rewards catalog on thestash.zumiez.com. 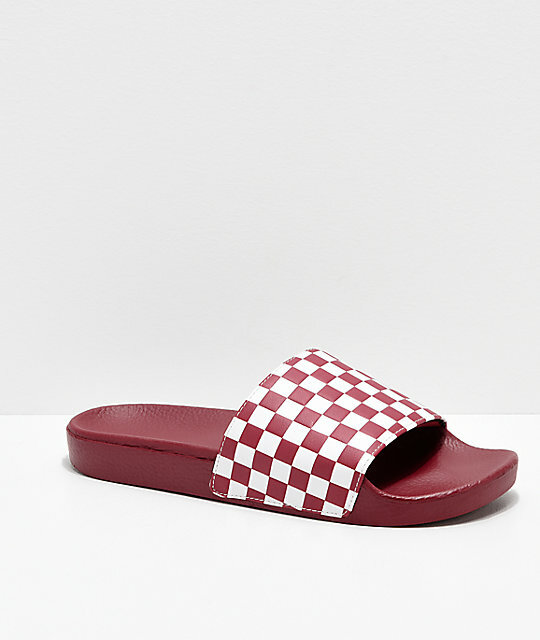 Slide into comfort and style with a pair of Vans Rumba Red & White Checkerboard Slide Sandals. 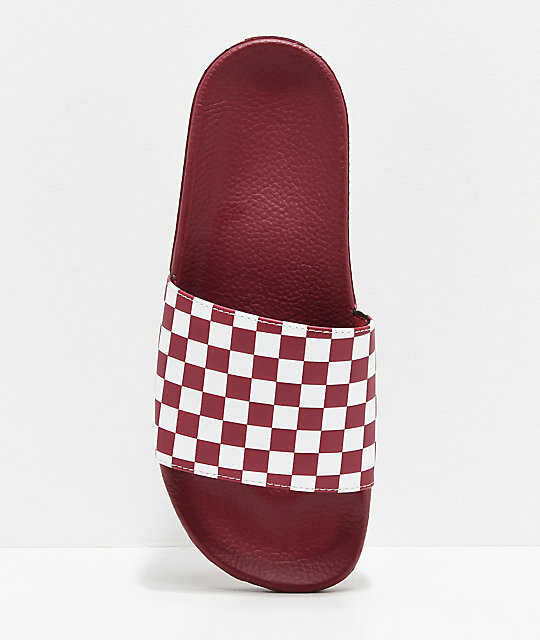 These classic slides feature Vans famous checkerboard pattern in red and white throughout the heavily padded, synthetic leather strap for maximum style points. Also complete with a lightweight polyurethane outsole and foam footbed for added comfort and grip, these sandals are destined to be your new favorite summer footwear. 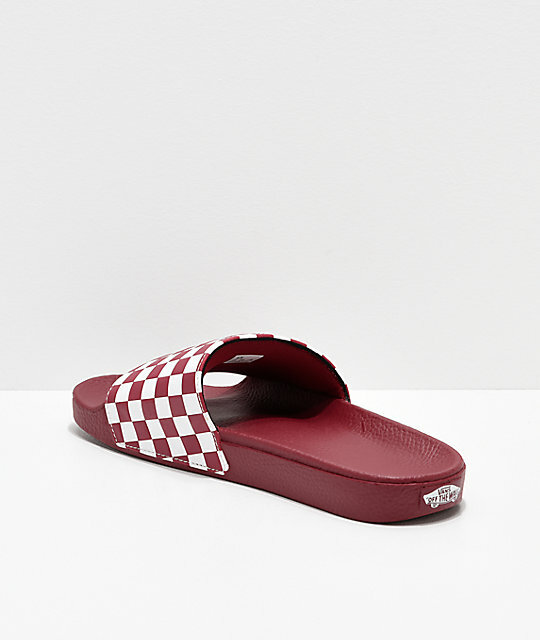 Rumba Red & White Checkerboard Slide Sandals from Vans. Outsole: Durable & lightweight polyurethane. Thick synthetic leather foot strap with soft neoprene liner. Pebbled foam footbed for grip. 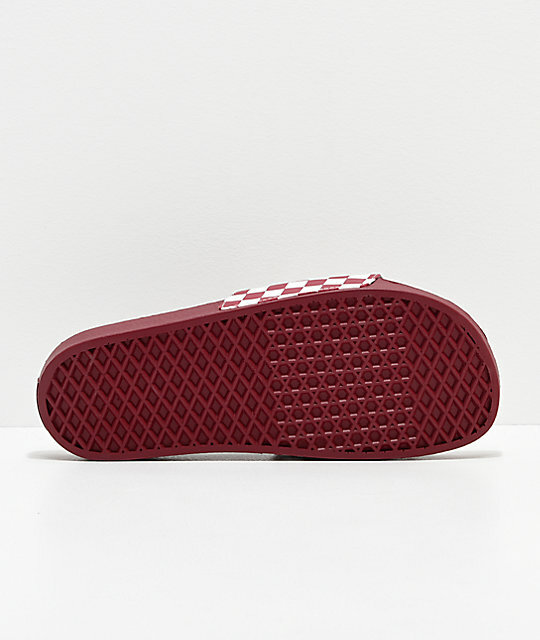 Vans heritage tread pattern for traction.